With the start of the fall season, we understand how easy it is to get side-tracked and forget to upkeep our household appliances. Keeping up with routine maintenance on your home appliances will help prevent future major appliance failures and reduce the need for emergency maintenance assistance. If you ever find yourself in need of emergency maintenance services in the Washington D.C. Metro area, Argent Heating & Cooling can provide you with years of home maintenance services to ensure your appliances are working efficiently to keep you comfortable in your own home. If you are unsure whether or not your appliances are working properly, Argent Heating & Cooling can provide the emergency appliance repairs you need! While scheduled maintenance is always recommended, we know that sometimes emergencies happen and you need assistance immediately. 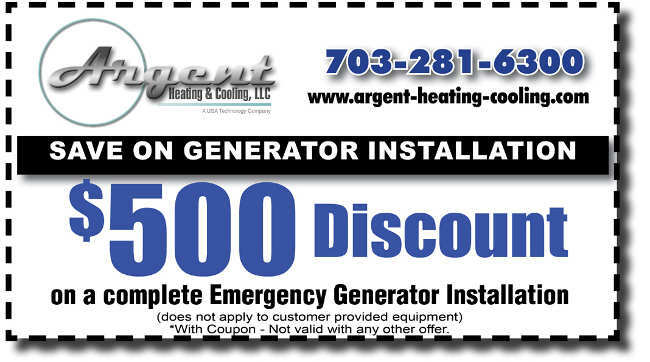 With any emergency appliance repair you need, you can trust Argent Heating and Cooling professionals to help. To understand the importance of both routine and emergency maintenance for your household appliances, we have provided more information for you below. Planning your appliance maintenance will ensure two things happen: that your appliance works for the entirety of its lifespan and that your repair costs stay within your budget. You can also save energy, which is not only good for the planet but good for your wallet. Giving your appliances regular maintenance will help your them run more efficiently throughout each season. It’s also good to check if your system is covered under a manufacturer’s warranty to learn more about your appliances’ specific maintenance requirements. 10% discounts on service call fees, replacement parts, and labor. Emergency maintenance or breakdown maintenance often costs three times as more as planned maintenance. Unplanned maintenance tends to take longer and cost more due to repair specialists working overtime and ordering materials or parts they may not have readily available at the time you need it most. If your appliance or HVAC system has just gone out, what do you do? Argent Heating & Cooling has over 30 years of experience and can provide appliance services, repairs, and replacements to any heating or cooling equipment you may need. Argent Heating & Cooling provides top notch support and expertise to our clients in need of home maintenance repairs. Each of our technicians have decades of experience, so they know exactly what to look for and how to fix it. We know that breakdowns can happen at anytime and that’s why we’re still available to cover you on the weekends and after hours on weekdays. Argent Heating & Cooling provides professional emergency repair services to Northern VA, Maryland, and Washington D.C. With Argent Heating & Cooling, we can get you out of an appliance emergency and back on to normal in no time! For emergency service in the Northern VA and DC area, contact us today and don’t forget to view our current HVAC specials here!